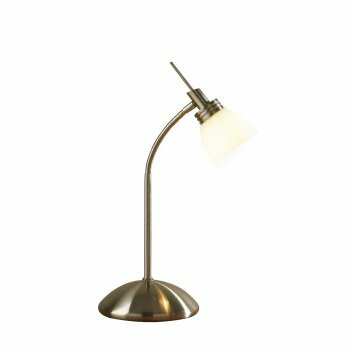 Dar Lighting Agean single light table lamp in an antique brass finish with an opal glass shade. The product code for this Dar table lamp is AGE4075. Also available in a satin chrome finish.